The Indian Association of Occupational Health has posted 24 YouTube videos on Basic Occupational Health Services for Informal Industry via the Primary Care Ecosystem. These training videos are about 22 informal industries in India; the target group is primary health care. For example, videos pay attention to work history taking, working conditions, symptoms of health conditions, diagnosing, prevention and control of health hazards and occupational diseases. Many examples are given of health and working conditions, often supported with visual material. 1 Basic Occupational Health Services (BOHS) for Informal Industry via Primary Care Ecosystem, 2 Agriculture, 3 Animal Husbandry, 4 Toddy Tapping, 5 Forestry Work, 6 Commercial Fishing, 7 Leather and Tanning Work, 8 Weaving Work, 9 Artisans, 10 Salt Pans, 11 Brick Kiln Work, 12 Work in Stone Quarries, 13 Work in Saw Mills, 14 Work in Oil Mills, 15 Building and Construction Work, 16 Scavenging, 17 Carrying Loads, 18 Driving Vehicles, 19 Midwifery and Village Health Work, 20 Domestic Servants, 21 Barbers and Beauticians’ work, 22 Vending on Pavements, 23 Beedi Making, 24 Principles of Prevention and Control. 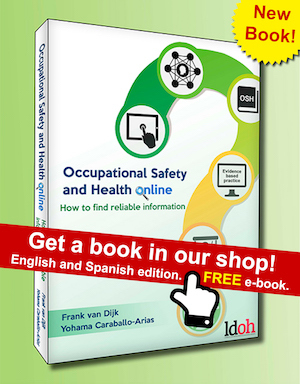 The videos serve a broad audience and are suitable for students, workers, managers, primary health care professionals and occupational safety and health experts. A video lasts between 12 and 27 minutes. The language is English.